Need a customization? Enter it here. 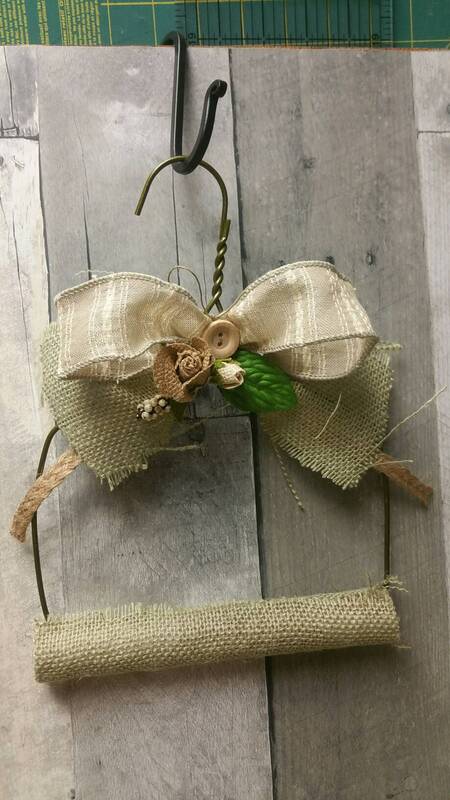 This listing is for one Small Vintage Farmhouse embellished herb drying/hanging rack. Pictured is a sample of how you can use this item. Please note that any other items pictured are not included with this listing. No two racks are exactly alike as I make them to order and with materials I have that is available. Your choice of color, as I have a wide array of colors I can embellish with. Flowers pictured are samples of different flowers/colors I could embellish with. Measures 7 in wide at bottom, 9.5 in tall. Think: Dried Florals, herbs, washi tape, ribbons, or even bathroom tissue paper! Makes wonderful and amazing decor for your home hanging in your kitchen, bedroom or bath room for a nice year 'round decoration.